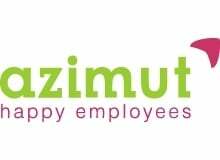 Azimut Happy Employees is a professional services company committed to developing happy workplaces through team-building, coaching and consulting. Freedom at Work™ is the right thing to do. People are meant to have autonomy and the chance to use all their talents in shaping something great, something bigger than themselves. We started this business with the idea of having a platform for talented people to bring a contribution to changing people’s lives and changing businesses through education. Freedom at Work practices are good for business. People are more engaged, more motivated, are more satisfied with their jobs, have an increased psychological safety and stay longer at the company. This all translates into higher retention rate, increased performance and productivity, more innovation, more flexibility and agility, better customer care and satisfaction, and increased revenue and profit. We are challenging ourselves to build a different kind of business, and demonstrate to the whole world that there is a better alternative in doing business.